1 Day Zen Meditation & North Coast Tour-Golden Foundation Tours Corp.
Overlooking the coast at Jinshan, Dharma Drum Mountain is the largest Buddhist community in Northern Taiwan. The complex is formally a Buddhist education center, with a library, meditation halls, conference rooms and accommodations for monastics and visiting scholars, as well as dining halls, landscape gardens and collections of religious artworks and artifacts. Chiufen Village was once the center of gold mining in Taiwan. The gold is gone, but these quaint old villages, built of closely-packed houses clinging to steep mountainsides, continue to offer enchanting scenery and fascinating glimpse into the lifestyles of the past. 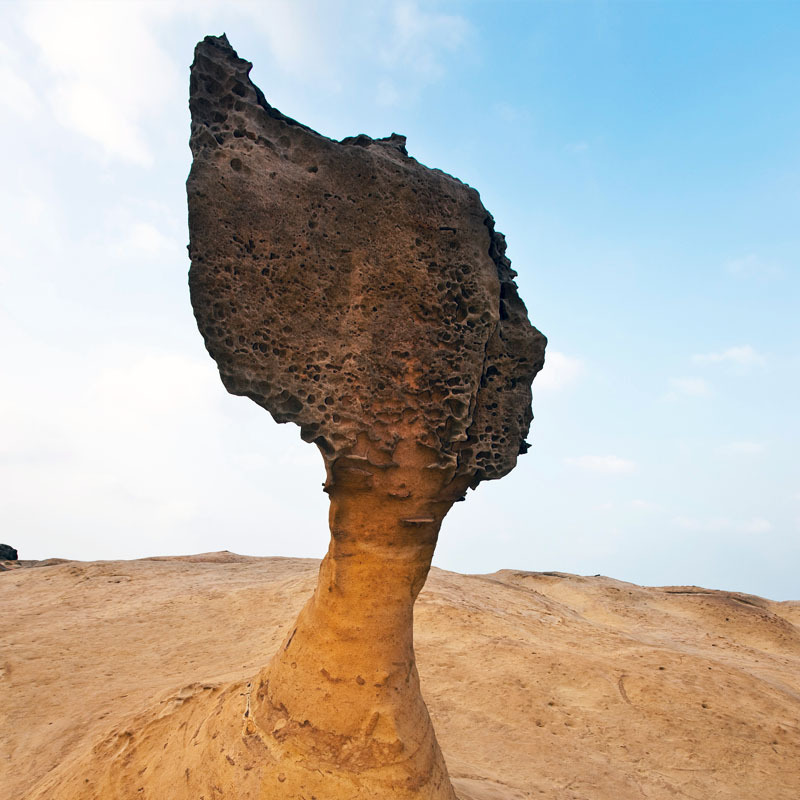 Yehliu Geo Park is renowned for its extraordinary rock landscapes. Those unique rock shapes formed by surf and weathering are the masterpieces of the nature. The Queen’ Head is the most famous representative which you should be never missing. This tour requires a minimum of 2 people to operate. There is a possibility of cancellation after confirmation if there are not enough passengers to meet requirements. In the event of this occurring, you will be offered an alternative or full refund. Cancellation made less than 24 hours before departure is non-refundable. Cancellation made between 48~24 hours before departure will charge 50% of full payment. Cancellation made more than 48 hours before departure will offer full refund. Dharma Drum Mountain overlooking the coast at Jinshan, is the largest Buddhist community in Northern Taiwan. The scholarly teachings of its late leader Dharma Master Sheng Yen (1930-2009) was first known for his academic interpretation of Zen Buddhism. The complex is formally aa Buddhist education center, with a library, meditation halls, conference rooms and accommodations for monastics and visiting scholars, as well as dining halls, landscape gardens and collections of religious artworks and artifacts. 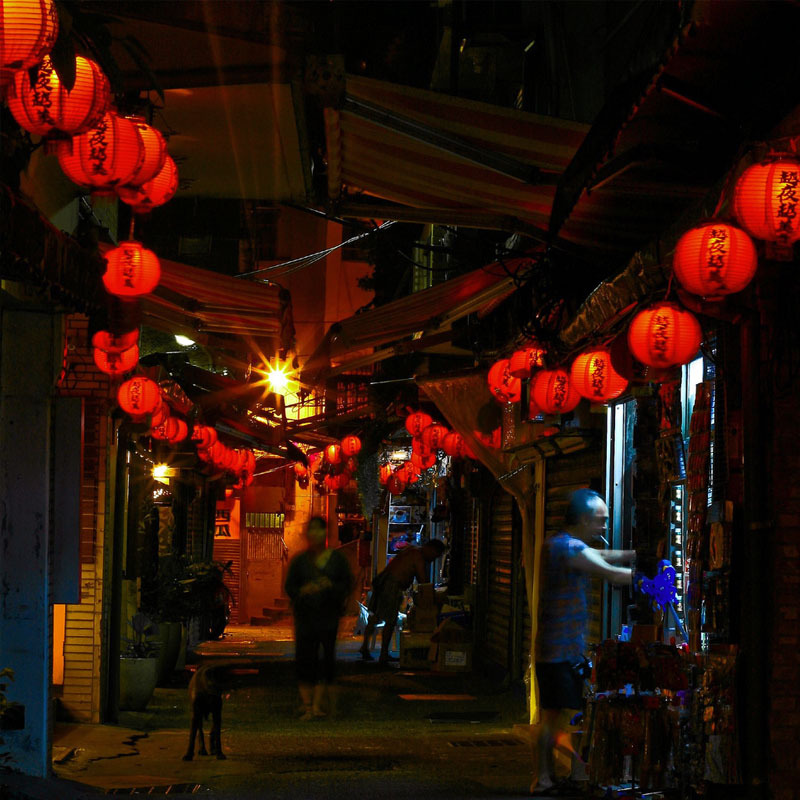 The Village of Chiufen were once centers of gold mining in Taiwan. The gold is gone, but these quaint old villages, built of closely-packed houses clinging to steep mountainsides, continue to offer enchanting scenery and fascinating glimpse into the lifestyles of the past. Admissions Includes an English-speaking tour guide.When the number of passenger is less than 6, we might serve by English-speaking driving guide. Cancellation Policy This tour requires a minimum of 2 people to operate. There is a possibility of cancellation after confirmation if there are not enough passengers to meet requirements. In the event of this occurring, you will be offered an alternative or full refund. Cancellation made less than 24 hours before departure is non-refundable. Cancellation made between 48~24 hours before departure will charge 50% of full payment. Cancellation made more than 48 hours before departure will offer full refund.